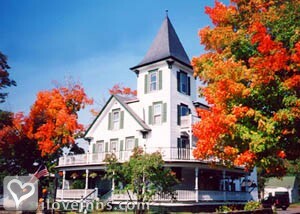 Greenville bed and breakfast travel guide for romantic, historic and adventure b&b's. 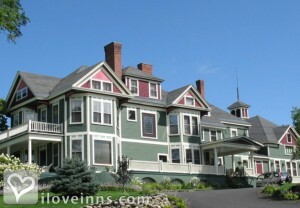 Browse through the iLoveInns.com database of Greenville, Maine bed and breakfasts and country inns to find detailed listings that include room rates, special deals and area activities. You can click on the 'check rates and availability' button to contact the innkeeper. Greenville is a town in Maine that is located in Piscataquis County. It has a small population but draws many visitors who want scenic spots. For this reason, Greenville bed and breakfast inns are often filled with guests. While in town, take a trip to Moosehead Lake and take pictures of the scenery while breathing the fresh air. The lake is also perfect for swimming and kayaking. In the Moosehead Lake Area is Lily Bay State Park, ideal for hiking and other outdoor activities. Just six miles off Greenville is Big Squaw Mountain, which is known for its skiing spots. Other sights within the town proper are Moosehead Historical Society and Museum and Moosehead Marine Museum. The B-52 Crash Site on Elephant Mountain is also worth a trip. By Blair Hill Inn at Moosehead Lake. Gateway to the North Maine Woods where moose out number humans 3 to 1! At the base of Moosehead Lake-the northeast's largest lake providing a wonderland of activities year round. By Greenville Inn at Moosehead Lake.